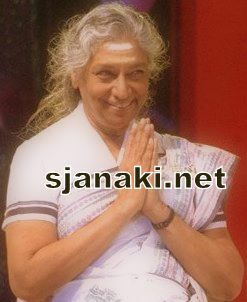 S Janaki is very famous for her voice modulation according to the age of the character . All such songs turned to be big hits. 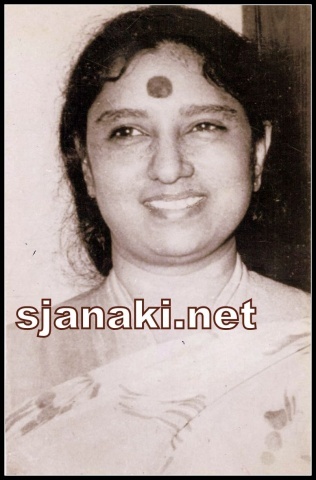 She sang some songs in kid’s voice in 70′s especially in Kannada, which were popular. But Kanna Nee Enge from Tamil Movie Rushi Kanda Poonai released in 1980 turned to be a sensational hit and every one recognized her rare talent. (This is the only movie which had S Janaki as a lyricist ). This song was originally written and composed by her. She sang it in a concert to entertain kids. The producers of the movie requested her to sing the same in their movie. Ilayaraja made small changes in the tune and made it a memorable composition. He made Janaki amma sing in kid, old woman and even male voice. She made all his experiments a grand success. Several music directors followed the same trend and gave her such songs. She even got Andhra Pradesh State Government Award for her voice modulation in Govullu Thellana song in Sapthapadi. She dubbed her voice for child artist Baby Sujitha in two Telugu movies ‘Chandamama Raave’ and ‘Judgment’. Listen some of her songs with this unique talent and stay tuned for more songs !! !